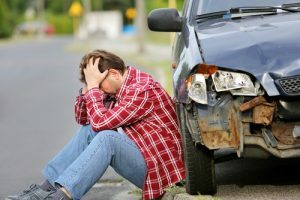 If you’ve been hurt in a car accident, a friend or family member has probably suggested that you hire an accident attorney. Maybe you’ve thought about it, but you’re worried about how much an attorney might cost. You might think quality reputation is out of reach. At Smith & Vanture, it’s our goal to help every deserving car accident victim get the compensation that they deserve. That’s why we offer a variety of fee agreements based on your specific needs and the specifics of your case. In many cases, we’re able to totally front the costs of litigation with no cost to you until you have a check in your hands. It shouldn’t cost you anything to talk with an attorney. When you call us, you speak with our accident attorney in West Palm Beach Florida without any cost or obligation. We educate you on the law and how it applies to your case. If you have questions, we’re happy to answer them. Our team goes over how much you might recover. Our personal injury lawyer West Palm Beach team goes over the specifics of the legal process, so that you know what to expect. When we make an agreement to represent you, we offer terms of representation that are easy for you to understand. You can expect us to put the terms in writing and go over them with you. We want you to be comfortable with us, our services and our billing practices. In most cases, we’re able to represent clients without them having to pay us any money up front. You only pay us if you win. That way, you have a skilled accident attorney in West Palm Beach Florida without any risk to you. If we don’t collect on your behalf, we collect nothing. This is called a contingency fee. Our pay is contingent on us winning your case. After we recover for you, we collect a small percentage of your recovery that represents our work on the case. Our goal is that working with us can ultimately result in a higher net award for you. At Smith & Vanture, we want you to focus on recovering from your accident and rebuilding your life. We’re often able to help clients recover more than they might recover by trying to proceed without representation. If you’re facing the aftermath of a car accident, please contact us.